Kids room can be one of the toughest area to design or decorate as you need to ensure that it satisfies the needs of your child as well as allow them to enjoy it. Though we always want to be creative in decorating our kids room, space limits us to do so. 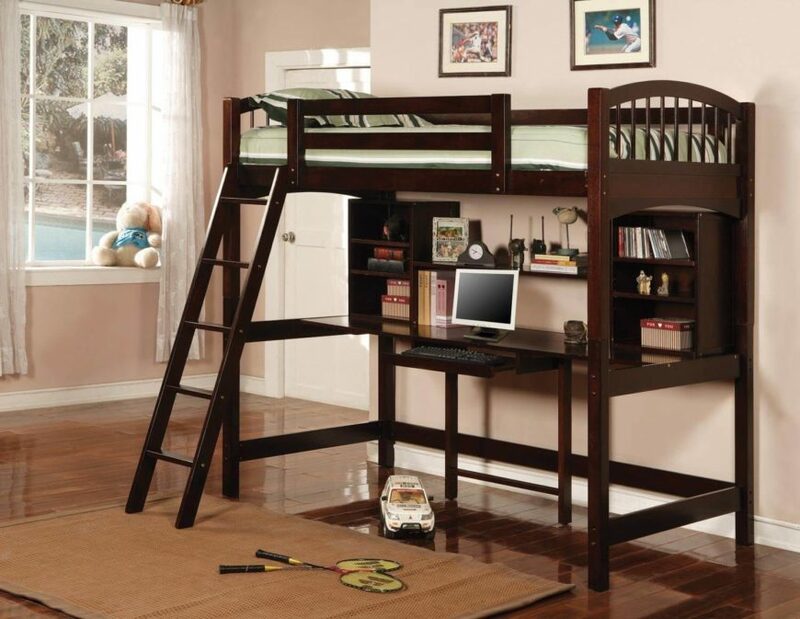 Good thing, we multi-functional bunk beds to make our jobs easier. 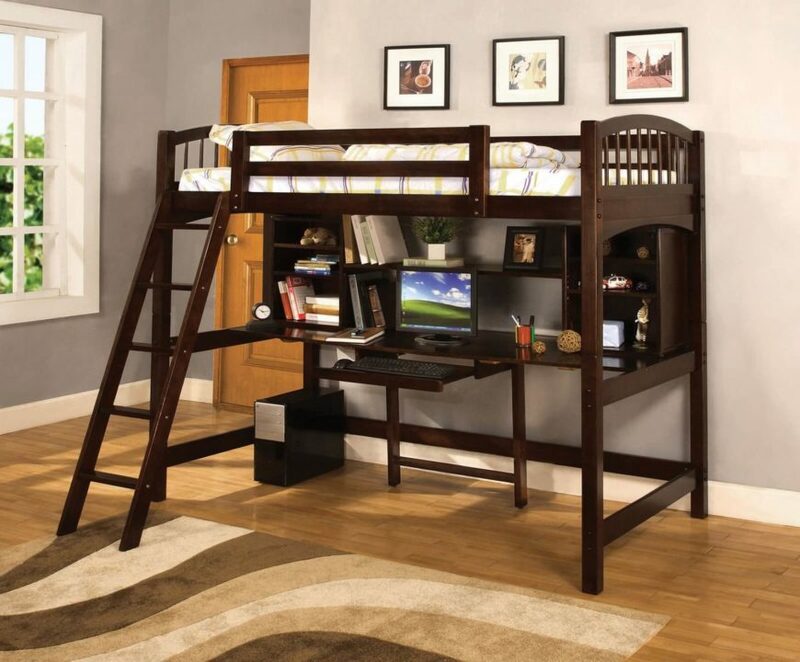 This bed is actually a loft bed style, with single mattress on top and fully featured desk below. Rich dark stained wood and abundant shelving make it a perfect desk and space saver. Our second bed is another loft style, with thin metal construction for a sleek, minimalist look. 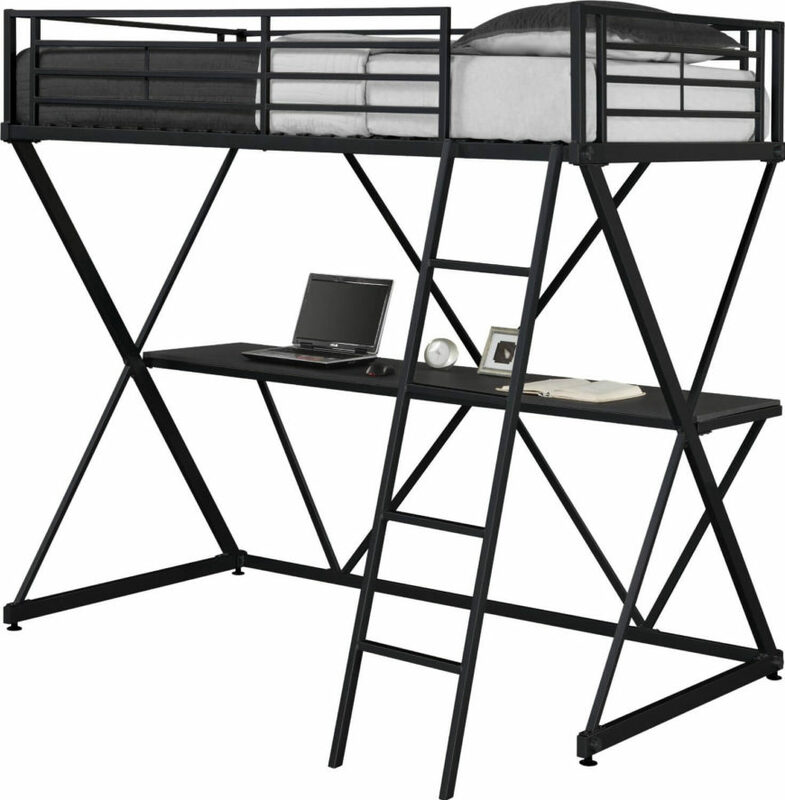 Cross-design frame supports a singular desk surface at the halfway point, with well framed mattress above. This rich wood desk bed features a desk built into the side of the unit, with ample storage space and shelving on both sides. 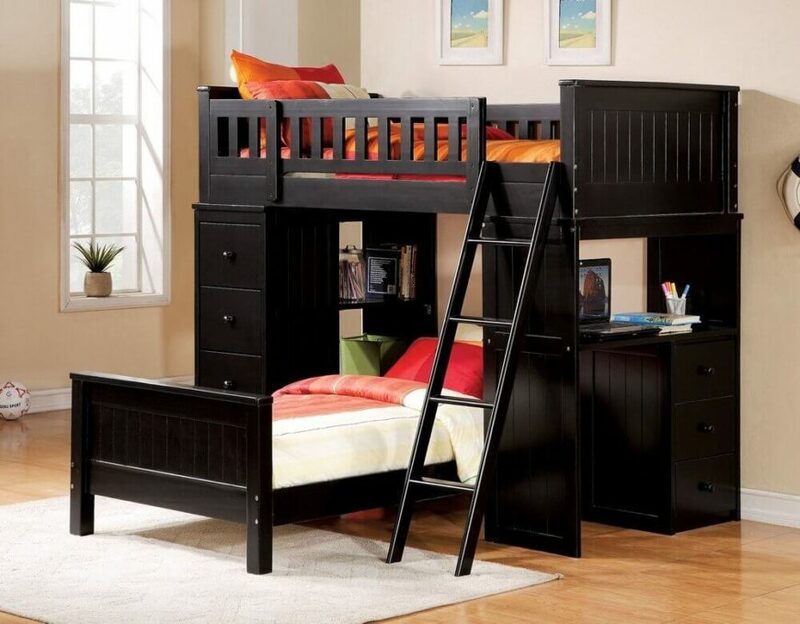 A slide-out twin bed below adds sleeping space and more layout options. Here’s another bed with rich dark stained wood construction. The desk component is fully equipped with shelving and a slide-out keyboard drawer, providing anything a child could need for work or play.